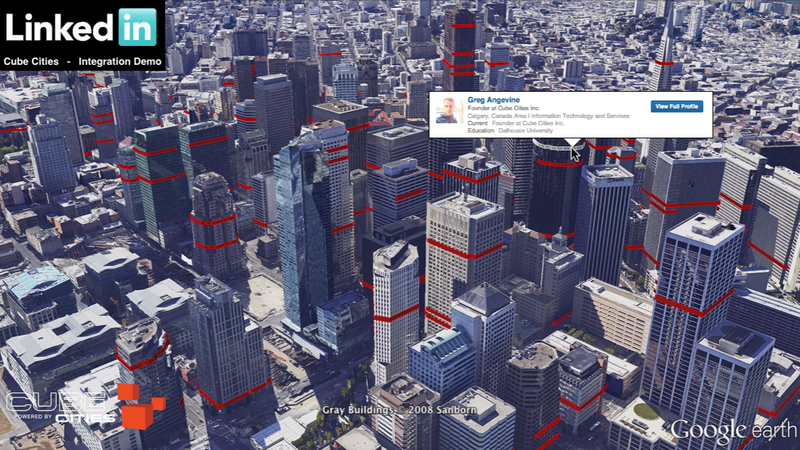 Cube Cities can map your contacts on LinkedIn to the floors in the 3D buildings on Google Earth. With the LinkedIn developer tools its possible to connect your contacts to floors and reorganize how you see your LinkedIn network, especially in dense urban areas. It's even possible to map the precise area of a floor occupied by your contact if the space is known. Watch the video below for a look at this integration and contact us for more information.